Just about any room in your home can be used a guest room. Whether it is your living room sofa, a spare bedroom or an office, there a few simple things that can make any guest feel right at home. If you are lucky enough to have a separate room for guests, here are some ideas to make it special. Neutral colors like off white, beige and gray are ideal for wall colors. They are light enough to provide a soothing feeling while providing a blank canvas for other colors. It is easy to change the feel of a room by adding splashes of color in throw pillows and accessories like rugs and lamps. Even if you use the room for other purposes, clear away personal items when guests arrive. Clean out drawers so guests can put their clothes away. Use one empty drawer for extra bedding. Everyday items that you will need should be moved so that you don’t have to intrude on guests’ privacy. 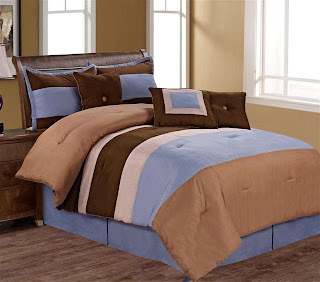 Good quality bedding is available at reasonable prices. Many synthetic fibers simulate natural fibers like down and wool. Synthetic fibers provide warmth and softness yet they are machine washable and dryable and cost a fraction of bedding made of natural fibers. A good quality microfiber blanket in queen size is a good investment. Queen sized blankets can be used on a twin, full sized or even a king sized bed as an extra blanket. The bed should have one fitted and one flat cotton sheet, a light cover or blanket, and a duvet or quilted coverlet. This layering allows guests to add or remove the cover to adjust to the room temperature. A good set of extra bedding and linen should include one fitted, and one flat sheet, two pillow cases, one microfiber blanket in queen or king size, one duvet cover and one quilted coverlet. Also, provide extra towels, washcloths, hand towels and a bath mat. Don’t forget to include extra toiletries like shampoo, conditioner, bath soap, shower gel, and lotion.